One of the best ways to teach young children about life is through the use of picture books and stories. When I first started teaching students with autism 4 years ago, I was in shock that I could only find one picture book about autism! This week I was lucky enough to be contacted by an author who wrote a book to teach acceptance and understanding about autism in a way children can easily understand. 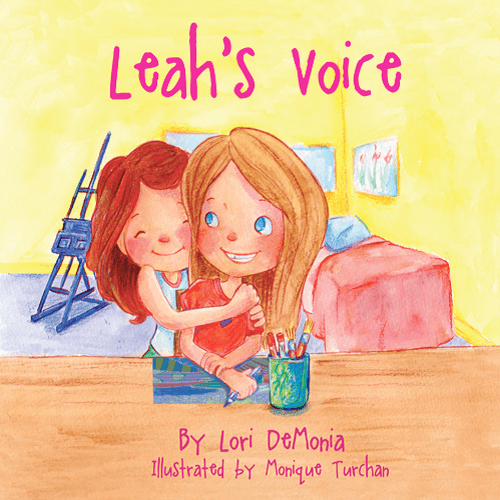 The book is Leah's Voice by Lori DeMonia. She ever so kindly sent me a copy of the book and I absolutely love it! 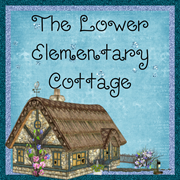 It's a sweet story with adorable illustrations! I've only had the book a week and I've already recommended it to a friend of mine! I play soccer with her and the day we met to play in our first game together, we realized I had actually worked with her son for a day when he visited my school last year. He's a sweet boy, but needs a lot of help some days. On Sunday, she was telling me how hard of a time she was having trying to explain things to other kids who come over for playdates with his siblings. This book is perfect for that! She was so excited to find a new book that can help make her life a little easier. CLICK HERE to read my full interview with the author Lori DeMonia! You can also read about her daughter who inspired the book and her talented art work HERE. 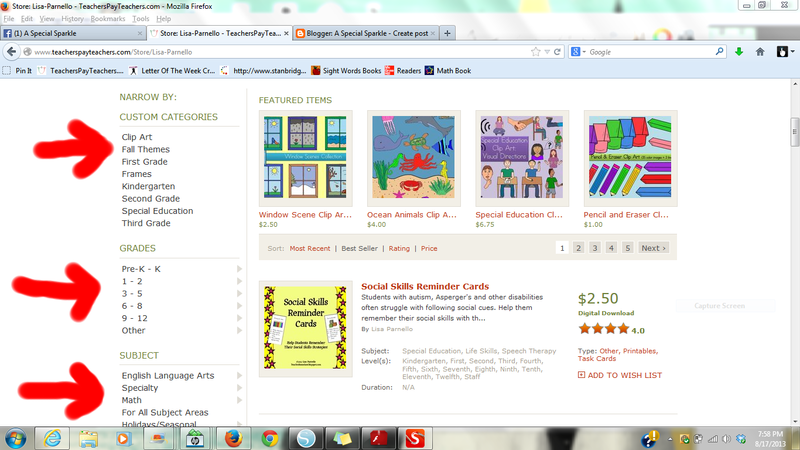 If you'd like to see the other picture book about autism (the only one I could find 4 years ago! 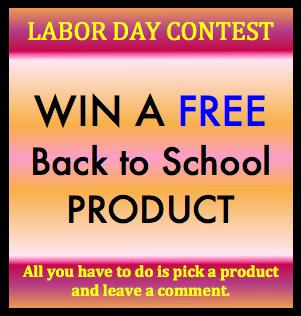 ), click the image below. 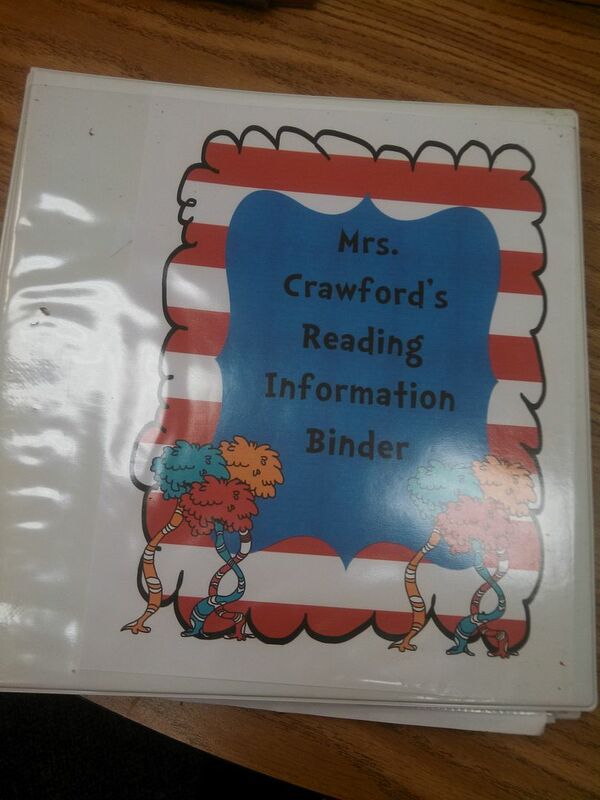 As a Title I reading specialist, I have to keep good records on my students to show progress. This is imperative as we meet about students who are going through any types of intervention through RtI. I wanted to share a little about how I keep it all organized on a day to day basis. 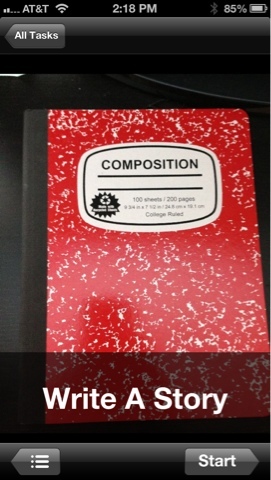 I have never had a teacher binder but had several binders with all I needed. 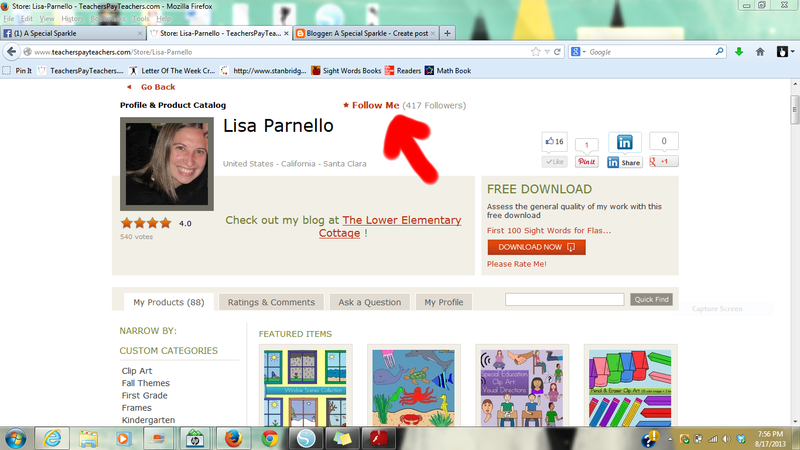 As I started delving into the world of teacher blogs and Pinterest, I saw them all over the place! It made total sense to keep everything in one place instead of 5. So, I made one to fit my needs. Here is what it looks like and what is in it. 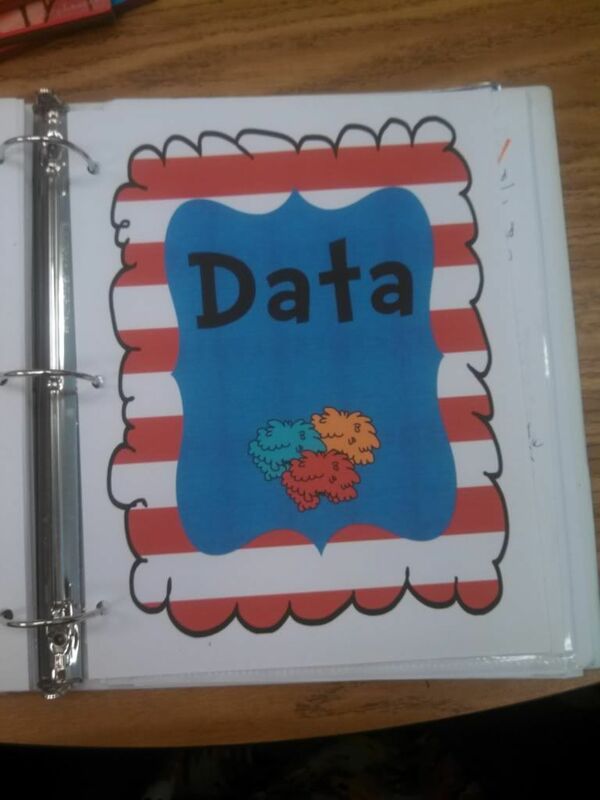 I found a freebie binder at the beginning of the year when everyone was cleaning out their rooms. It was in perfect condition and big enough for what I needed. 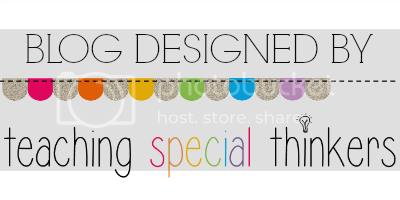 I made a cute cover to match my theme with graphics from Michelle at The 3AM Teacher. Here are the sections I included. I have to keep my lesson plans for five years, so they are here for the year. 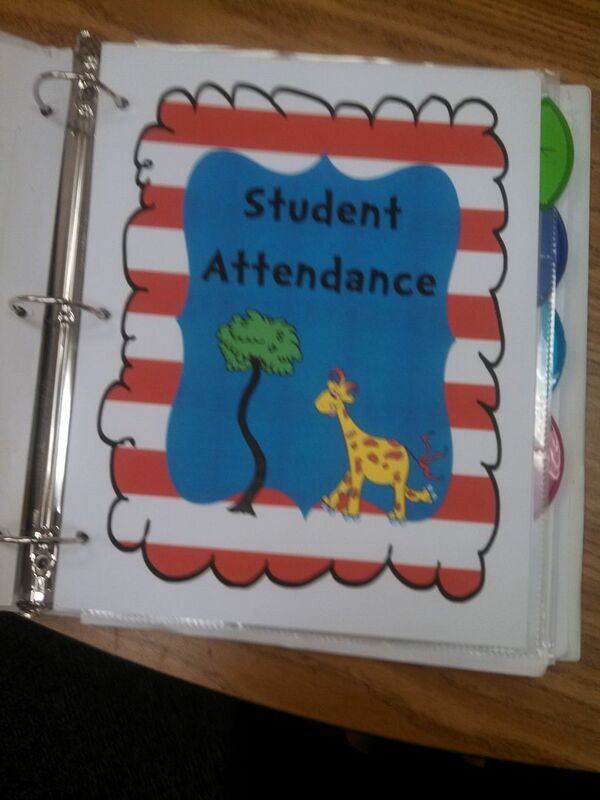 Keeping a record of everyone's attendance is very important for data collection! I keep all of the testing data for each student here. 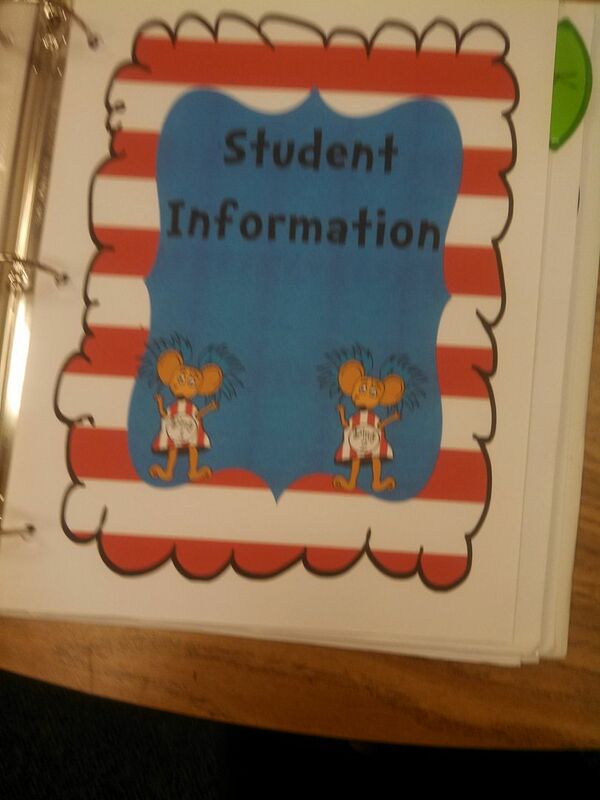 There is a tab for each grade level. I change it out after each testing. 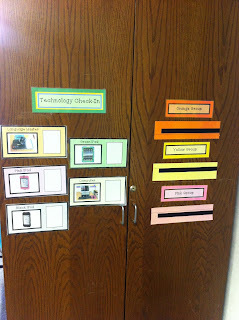 This is where I keep all of the data for each class after they complete their testing. This helps me to compare students in an entire class throughout the year. It is amazing how home life changes the learning at school! 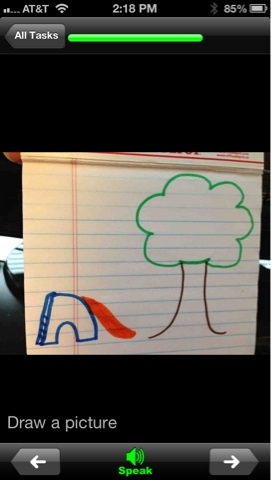 I keep notes on every meeting I attend here or in the students' files. I have to save "everything" we do throughout the year, but I find it hard to not let the kids take some of their hard work home. I have a filing system to store the most important things in and file as we work. 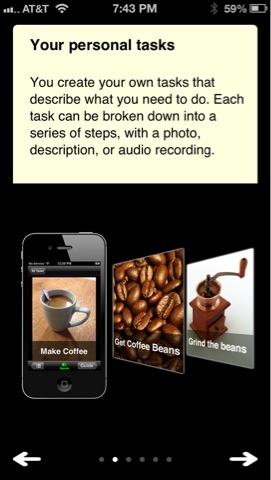 This way I can take students samples and assessments I administer to meetings. Then at end of the year, I file it all away and get ready for the next year. 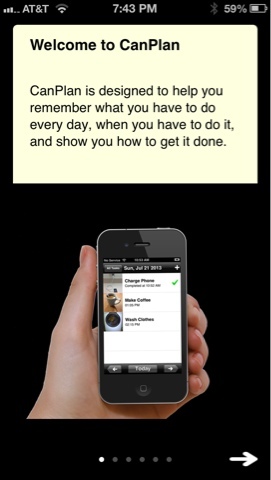 So, how do you keep life organized? 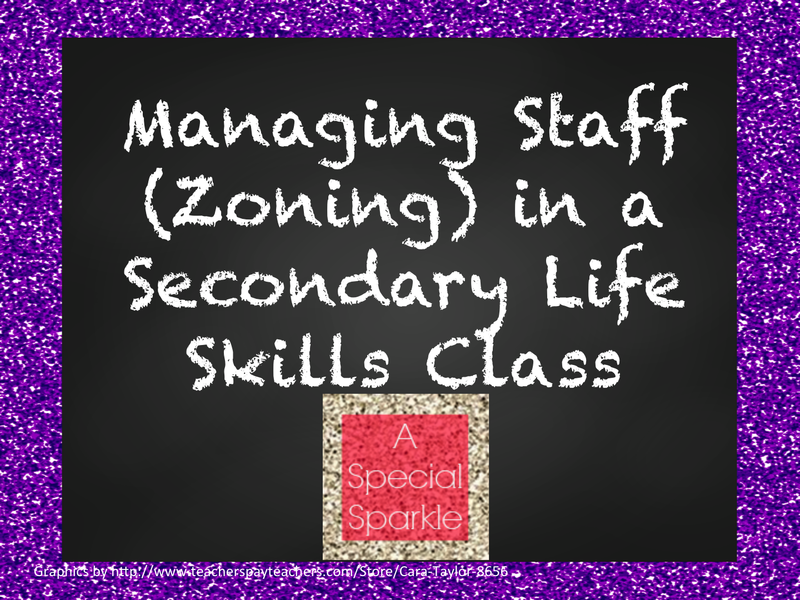 Back in July I wrote a post on setting up a secondary life skills class. In that post I talked about the schedule and the needs of the physical environment. I thought I would take a moment to share with you the way we manage staff in this type of classroom. I always find it amazing that folks who don't teach in self-contained environments (or resource environments) think that having lots of staff in the classroom is such a blessing. And then I talk with the teachers in those classes and they find it to be more of a burden. Most teachers went to school to learn to teach and became teachers to work with the students; they often didn't plan to be a personnel manager. A self-contained or resource classroom is a unique environment because much of what the teacher has to do is organize and work with the staff. The teacher needs to give direction but also needs to work with the staff members as a team. Caitlin did an awesome post for teachers on working with paraprofessionals and working as a team, so I'm not going to repeat that here. But I did want to share a strategy that has been shown to increase organization in the classroom, promote engagement of students, and that I have found to reduce strife in a classroom environment that sometimes feels like an isolation chamber with only a few adults. Part of a classroom that promotes high levels of engagement is limiting the amount of time that the staff has to spend talking about what they are doing and lessening the time that a teacher has to spend directing the staff. A staff zoning plan is the answer to that problem. Here are a few things to know about a zoning plan. It's called a zoning plan because it was based on a zone defense in basketball (the only sport I actually watch!) when the research was first conducted. The original researchers found that in a day care environment, students were more engaged if staff was zoned to an area of the room rather than to a group of students. Students would come and go but the staff would stay in the same place. For instance, someone manned the bathroom, someone manned the snack table and students went back and forth between the 2 activities. Then the staff was responsible for who was in their zone. 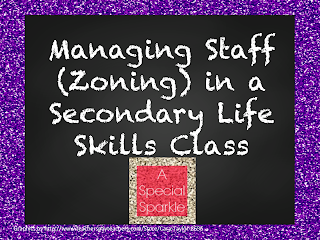 We use the term zoning even when we "zone" man-to-man --meaning staff is responsible for a set of students or just one student depending on the situation because each person is zoned into his or her responsibilities. Hopefully everyone has the chance to teach with staff who could be their right arm and anticipates their every need. However, most teams don't start out that way. A zoning plan lets everyone know their jobs are. I've seen contentious classrooms suddenly be much calmer when you just give someone a written schedule of what they need to do with details about who to work with and where to be. Zoning plans make sure that everything gets done. You write in data collection, which students to prompt during morning meeting, who is cleaning up the activity, who is setting up the next activity, and who is watching which students when you are walking to the lunch room. You even include things like who carries the walkie talkie when the class goes on a walk (because otherwise, I thought you had it!). Zoning plans should be developed by teams collaboratively and responsibilities can be rotated out on a scheduled basis. This is important because if I had to run art every day all year, I might not be a happy resident of the classroom. 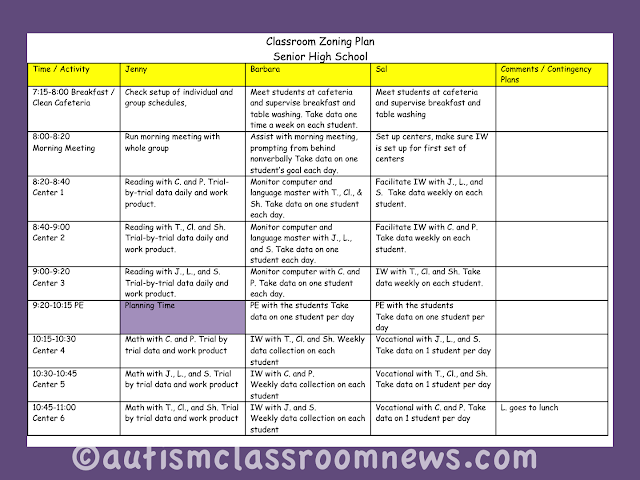 Zoning plans mean that you schedule in lunch and breaks. I know that teachers frequently emulate Wonder Woman, but really everyone is better off if each person gets to take a break. I've found over the years that those who don't have breaks scheduled into their day, take them mentally without meaning to while still woring with students. That you do not want. So schedule lunch and schedule breaks according to your policy, but make sure everyone has a chance to go to the bathroom and get out of the room for at least a bit. And then make sure that they know when to come back and that other's breaks and duties are counting on them being in their place on time. And finally (yes I do like lists of 7), zoning plans can change and will change as duties change, needs of staff and students change, and as the team evolves. There is benefit to writing it down and not expecting that everyone in the class knows what you need and it can avoid a lot of conflict when it is clear that the staff schedule exists to support the engagement of the students. So, below is the zoning plan that goes the schedule I included in the secondary classrooms post. You'll see the purple blocks are when people are out of the room--everyone likes to be able to see that. Jenny (not her real name) was the teacher and the other 2 staff were paraprofessionals. You can see where we wrote in who is taking data in each activity and who is responsible for which students at which time. Look it over and share any thoughts you have in the comments. I'll be writing more about zoning plans in my series on setting up classrooms over at Autism Classroom News if you want to look at more examples. 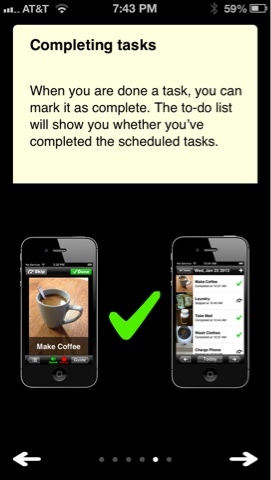 In the meantime, how do you schedule your staff and what has worked for you? 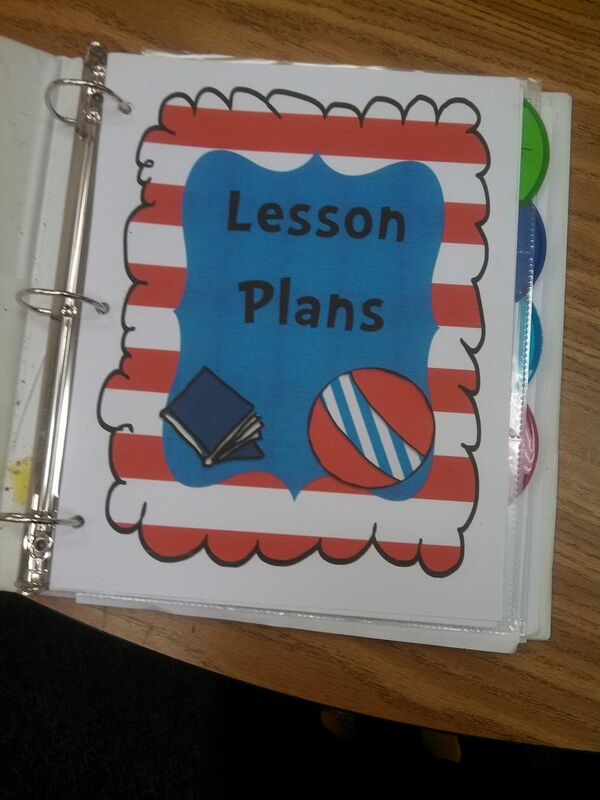 I have copies of my binder cover sheets for for the 2013-2014 school year in my Teachers Pay Teachers store. 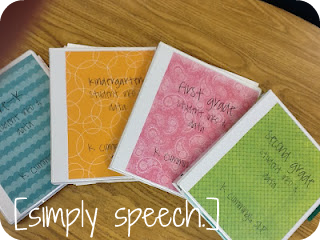 Being a speech-language pathologist, my lesson plans are written a little different than classroom teachers. 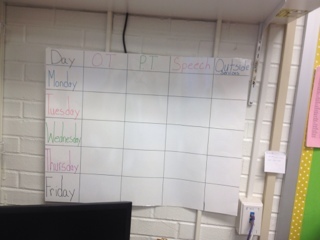 In our district, we are not required to write lesson plans, however, I feel that they keep me organized and focused. 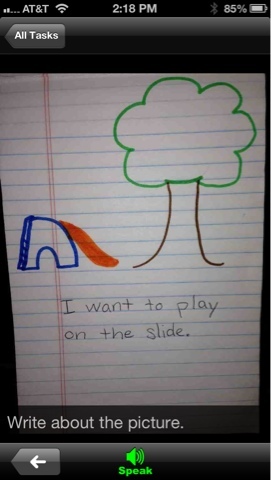 Below is a sample screen shot of what my lesson plans look like. 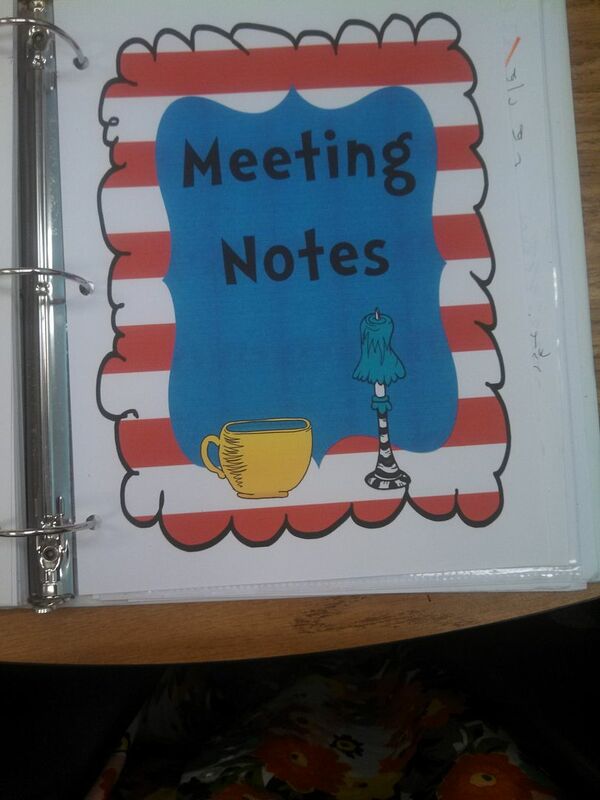 The very top has a section to jot down meetings, upcoming events, and notes. 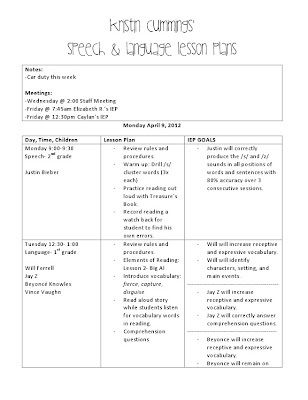 For the actual lesson plan, I use a 3 column table. The first column has my students' names and scheduled time. 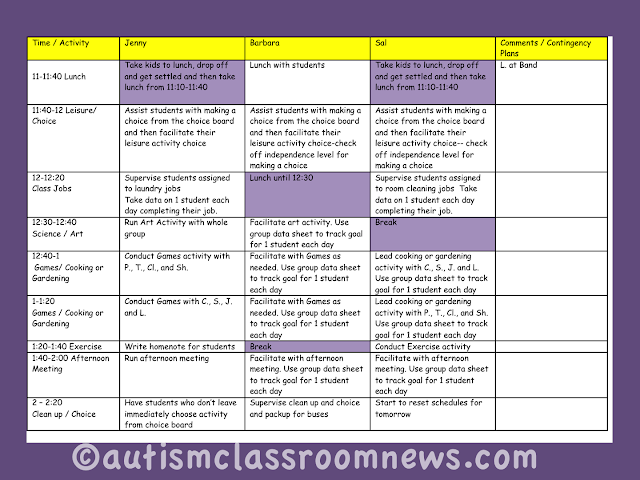 The second column has my lesson plan and the third has their IEP goals. 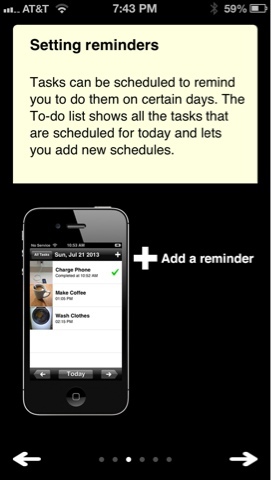 The way I use this, only the middle column changes (that is until you update IEP goals.) 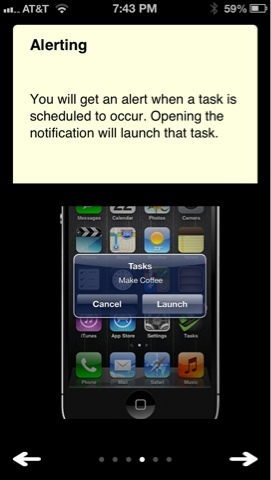 I have found this to be an incredibly helpful way to stay focused un my planning. When the goals are right there, I can always make a conscious effort to include activities and lessons that incorporate their goals. If you want to be an over achiever, add a 4th column to list the common core standards that will be addressed in your lesson as well. Talk about brownie points with the principal! This is a great message from Megan, a student with Down Syndrome, to teachers about working with special children. Don't limit me.. such a powerful story and message! If you are a teacher that ever has any special needs students in your classroom, this video is a must watch!